Polygon Count has been a pretty hot topic recently so we thought we would add more fuel to the fire and directly compare Poly Counts of different AAA titles with Ryse: Son of Rome. First we need to get some things in the clear. Polygon count is one the more easily confused stuff in the development world, sometimes even the devs themselves mix it up. Our games are made of Triangles and a Triangle also happens to be the smallest Polygon. So when developers say a game has, say 80 000 triangles. It could mean the game actually does have 80k polys or it could mean 40k polys. In some rare cases it might translate to 20k polys. However modern games don’t utilize voxels so its basically either the actual count or half. So a stated 80k triangle count can either be 80k or 40 k poly count. The half is a basic approximation, it varies in every model. For fairness’ sake we took Ryse’s triangles as they were. 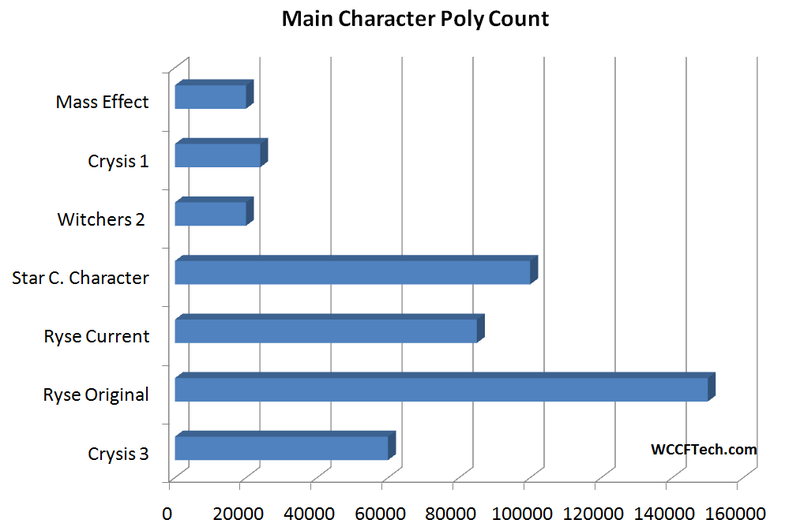 So we see that even after the latest cull in Polygons by Crytek, Ryse: Son Of Rome still has the highest polygon counts in a main character then any game before it. Infact the only game with a higher polygon count in main character is Star Citizen, which is not yet released. Crysis 1 is widely regarded as the first Poly Heavy game had about 24k Polys in the main character and team mates. But the reason it was so intensive was the world, with the total exceeding 3 Million Polys! Of course the law of diminishing returns applies here, a 3d object with 10 polys will look bad, 20 polys and 2x better, 30 polys and only 50% better. It goes on, every time we increase polys cost goes up and returns go down. How much is too much? 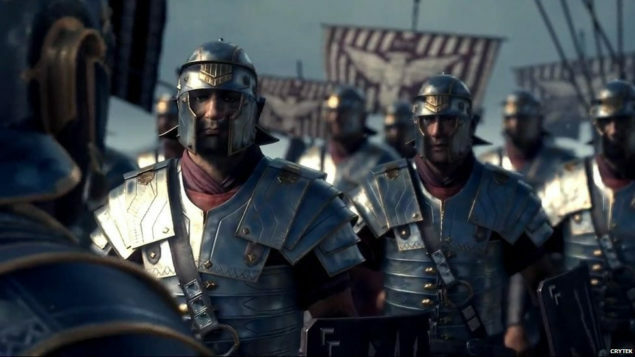 Ryse Polygon Count is at a pretty good standing even with the cull, the characters should look absolutely breathtaking in the game. Of course Star Citizen is pretty much the PC Flagship for Polygons, infact when it comes to vehicles Star Citizen pretty much wipes the floor with its polys. We know the comparison is totally unfair so take it with a good sense of humor. 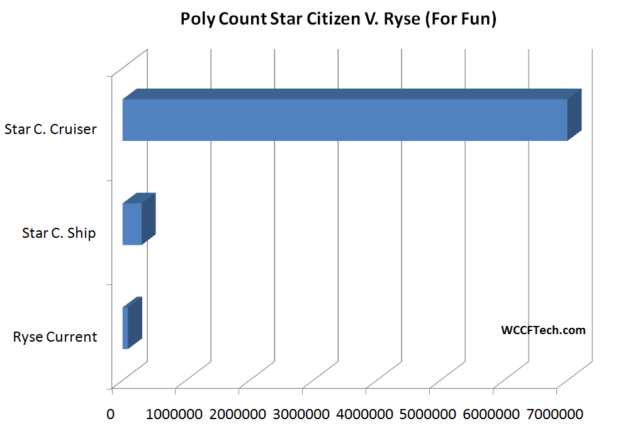 Thats right, The Star Citizen Cruiser rocks in at 7 Million Polygons, its got to be a record of some kind. Of course with Cry Engines Active Culling System, the actual polys being rendered at any given frame will be considerably less. I know its in my job description to be unbiased but ( even though i love consoles) PC will remain the Graphics King in terms of brute power, my honest opinion. Having said that, i dont know what i would do without my PS2.